Chairman of CPN (Maoist Center) Pushpa Kamal Dahal has taken exception to the government’s decision to revoke the license for development of the Budhi Gandaki Hydroelectric Project awarded to China Gezhouba Group Corporation (CGGC) by his government. The then Dahal government with Janardan Sharma as energy minister had decided to award the project to CGGC on May 23 under the engineering, procurement, construction and finance (EPCF) model without a bidding process. 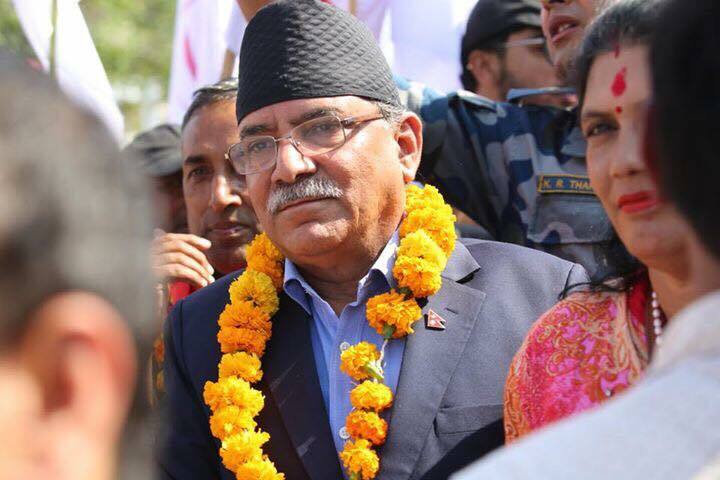 Speaking with media persons in Chitwan on Wednesday, Dahal accused the government of moving forward against the spirit of the constitution by taking the decision to revoke the license without even consulting coalition partner Maoist Center. Maoist Center is technically still a partner in the current coalition government with the party’s ministers refusing to resign even after Prime Minister Sher Bahadur Deuba took back the ministries from the Maoist ministers after Maoist Center formed the left alliance with CPN-UML. Dahal claimed that revocation of the license for Budhi Gandaki awarded to CGGC has proved that the current government is an obstruction to economic prosperity and development. UML Chairman KP Oli has also accused the government of revoking the license after it did not get the promised commission. The Cabinet meeting on Monday had revoked the license of CGGC. “The Cabinet meeting today has revoked the agreement on Budhi Gandaki done with China Gezhouba Group in an irregular and whimsical manner as per the instruction of parliamentary committees,” Energy Minister Kamal Thapa had tweeted on Monday to confirm revocation of the contract.